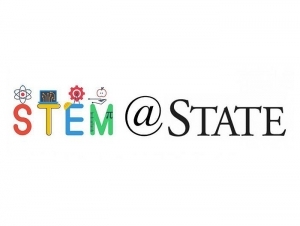 The Western New York Master Teacher Program at Buffalo State is hosting STEM @ State on Friday, May 19, from 9:00 a.m. to 2:30 p.m. in the college’s Science and Mathematics Complex and Technology Building.  “We expect more than 80 students,” said David Henry, associate professor of elementary education and reading and co-director of the Master Teacher Program with David Wilson, associate professor of mathematics. The genetics of bitter taste: Why you like some tastes and not others (Amy McMillan, associate professor, biology). Using bioinformatics, students will amplify this gene in each participant's DNA and compare the phenotype with the genotype. Neutron activation (Michael DeMarco, professor, physics). Using a Germanium detector, students will measure gamma rays and observe the decay and half-life of transformed atoms. Snap! Drag and Drop Computer Programming (Sarbani Banerjee, professor, and Neal Mazur, associate professor, computer information systems). Students will use SNAP—a free, low-syntax programming language—to explore and write programs to do computations, draw figures, and use multimedia components. Gold Nanoparticles (Maria Pacheco, associate professor, chemistry). Students will explore nanoscience and nanotechnology of gold nanoparticles using modern analytical instrumentation. Working with Geographic Information Systems (GIS) (Mary Perrelli, GIS lab supervisor, geography and planning). Through GIS modules, students will explore real-world problems such as crime and disease using maps and spatial analysis tools. 3D Printing and Laser Engraving (James Kolarich, instructional support technician, engineering technology). Students will work with three industrial-scale printers to create a 3D model from conception to printing. Sports Analytics: Using Mathematical Modeling to Rank Teams (Jimmy Xu, associate professor, mathematics.) Students will use mathematics software to analyze teams’ win-loss records, difficulty of schedule, margin of victory, home advantage, and other variables to arrive at a ranking of NCAA football teams. Modeling Infectious Diseases in the Living and Dead (Saziye Bayram, associate professor, mathematics). Students will use mathematical models and computer simulations to understand the complexity of infectious disease dynamics.